Today at an event in San Francisco, Microsoft’s Bing launched a massive redesign of its services, bringing in a grip of partners to form a new threat to Google’s crown as the search king. 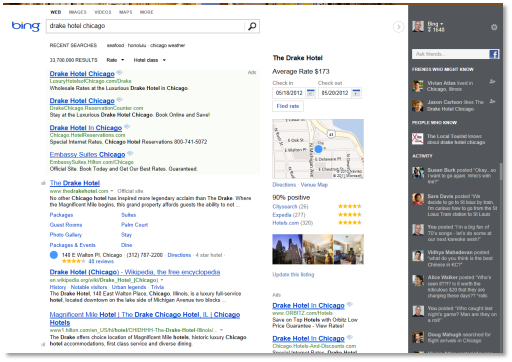 Bing has always been the second city of search. An engine that was Google’s foil, but not one that had managed to drain Google’s fat market share, earned through years of high-quality service and powerful results. Today, Bing launched a fresh offensive against Google’s position atop the market. Bing will continue its standard results in its ‘first’ column. Bing has fought for years to make its core results meet Google’s head on. If you have, or haven’t used Bing, this method is nothing short of fighting the giant. Google is boss in search, and what Bing is doing is trying to beat it at its own game. 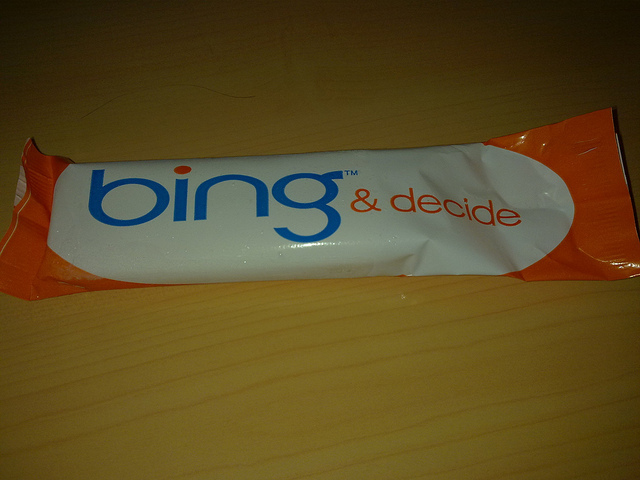 Remember Bing’s call to be the ‘decision engine’? This is the final thought of that: what you need, where you need it. Now, it’s up to you to test, but the idea is that this is your conduit to completing tasks now. Bing has for some time worked to integrate social elements into serach. My personal friends, looking at my Facebook NewsFeed are all idiots, but for those of us with better cohorts, this is for you. Here, Bing is going to bring in results from Quora, Facebook, and Twitter and Foursquare and others. The idea here is that Bing takes in your networks that you are have built, your social graph, and makes it relevant as you search. Also, the product will take in ‘experts’ from around the web to make sure that you have proper human guidance, write large. Bing’s news today is a step in the right direction. The engine is looking to change the way search works, and at the same time shift how people actually use search. What the engine announced today is a real shift in how Bing works; this is how it plans to win. TNW’s take is this: Bing could be turning over a new leaf, and forging a new path forward. Beating Google with what Bing had built before may not have been possible, but by doing this, bringing in other resources for context, Bing could be making a new stab at what comes next. The question is simple: if this is brilliant for Bing, will it drive traffic? Will this new redesign put it in a position to syphon traffic from Google itself? It certainly can’t hurt, so I expect the company to continue its momentum. As we test this, more thoughts will follow. For now, this is a good move.